For Health professionals: The report provides details of the Fracture Liaison Service, which provides an integrated approach to the management and prevention of fractures. For Patients: The report strongly encourages women at risk of osteoporosis to see their doctor for a diagnosis before suffering a fracture. Bound copies are available on application to the WHC office. 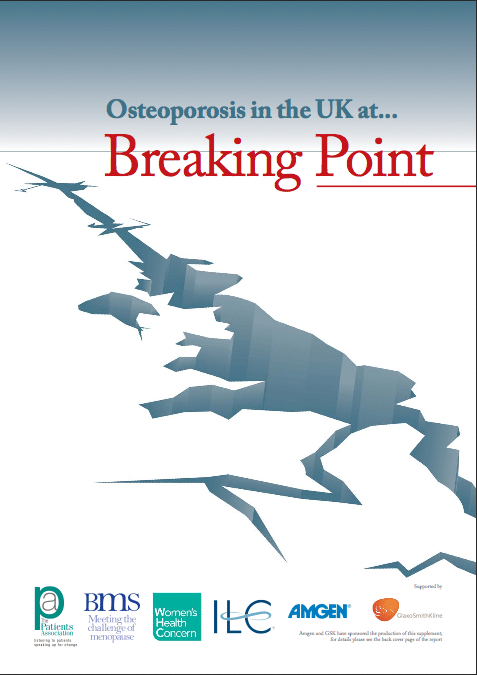 For further information go to the Royal Osteoporosis Society website.